At Wood-Mizer, our workers truly believe in doing the right thing for the right reasons. 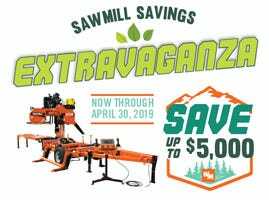 Since the company's beginning, Wood-Mizer's shareholders chose to donate a portion of the profits that the company made. Over the years, Wood-Mizer's 10% tithe has benefited Indiana schools, and schools as far away as Africa and the South Pacific. Locally, the corporation annually contributes to dozens of projects- construction of a new YMCA, volunteer fire department funding, expanding a church camp, and sustaining the Indianapolis Symphony Orchestra, zoo, and museums, just to name a few. Wood-Mizer encourages its employees to take mission trips to places where the need is especially great. The company takes care of many of the travel expenses, and matches vacation days taken for the trips. Our dedicated employees have traveled to Poland, Haiti, Honduras, Panama, Ukraine, Brazil, Alaska, and most recently, Costa Rica. Many more mission trips are in the works. "When we go to a different country, our primary goal is to be of assistance to the host mission in what ever way possible", shares Tammy Dickison, Wood-Mizer Human Resources Manager. "If we have people with special talents such as teaching, preaching, children's workers, welding, mechanical, carpentry, computers, sawmilling, general maintenance, or what ever, there is usually a place for every one. When you see the diversified needs of others in other countries, it makes you appreciate what we have more." Sharing the Gospel with thousands of people. Most importantly, we've offered our hearts and plenty of hope to the children of those nations. What begins with kindness, ends in hope. Our mission trips are just one way we're trying to improve lives the world over. 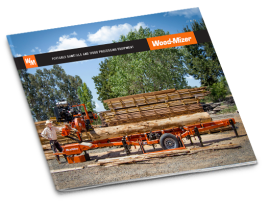 It's just part of the Wood-Mizer philosophy.